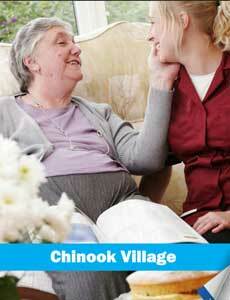 Chinook Village is a premier, non-profit, retirement community in Medicine Hat, Alberta. The Village has a senior population of over 420 residents, who live in 343 units, in the five buildings that comprise its half-million-square-foot campus, nestled in the southeastern part of the province. Chinook Village was built on land that formerly housed Hillcrest Christian College, a school that vacated the premises and moved from Medicine Hat, over twenty years ago. According to Vern Enslen, Chinook Village’s Operations Manager, the local Evangelical Missionary Church owned title to the land. 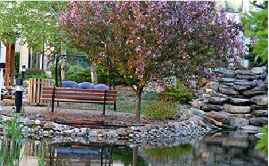 “A few members of the church had a vision for a seniors complex. So they formed a Board and took over the property and developed a plan to have independent-living seniors who are completely on their own, as well as have some supported-living suites. A life lease is a legal agreement that permits purchasers to occupy a home for life (or until they are no longer capable of living there) in exchange for an initial lump sum payment and subsequent monthly payments to cover the ongoing project management fees, and maintenance and operating expenses. 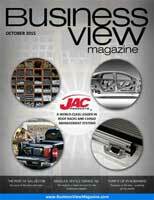 “A life-lease is deemed to be, by definition, a rental contract in format,” explains Sawatzky. “You pay money upfront – you don’t have to pay rent while you’re there because you’ve purchased the unit, but you get most of your money back at the end.” Of course, Chinook Village residents may also choose to pay a monthly rental fee, in lieu of life lease, or even combine the best of both options to suit their financial needs. But the Village gets no government funding. “The facility is 100 percent, privately supported by the residents,” says Sawatzky. 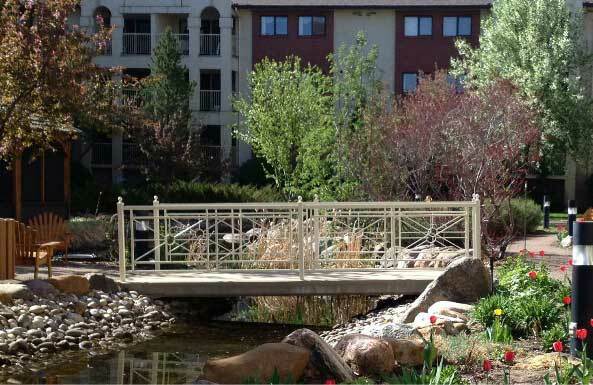 Chinook Village is divided into supportive living areas and an independent side. Peggy Kerr, the Nurse Manager, breaks down the numbers: “In the congregate area, which is Supportive Living (SL) Level One, we have 103 residents in 94 suites. In Supportive Living Level Two, we have 69 suites and, currently, 57 residents.” SL One residents are those who still want to live independently, but might want or require some occasional assistance with meals, laundry, housekeeping, etc. Residents who need a higher level of services, including medical monitoring on a regular basis and on-site nursing, can live in an Assisted Living suite with 24-hour support. All supportive living options, such as personal care, specialized medical services, supervision and assistance with daily living needs, etc., can be tailored to suit a resident’s health needs as well as his or her financial requirements. On Chinook’s independent side, there are 180 suites which house 260 residents who do not receive care of any kind. These units are for healthy, independent seniors who simply want to take advantage of condominium-style living without having to worry about managing their properties. They can come and go as they please, while taking advantage of the Village’s recreational activities and physical amenities which includes a 40,000 square-foot, private park in the heart of the campus. They can also avail themselves of housekeeping and meal services for an extra fee. At present, though, potential skywalks notwithstanding, Chinook Village is more concerned with mapping out its operational future rather than its physical one. Sawatzky explains: “Chinook is at a very unique place, right now. It’s been around for 23 years, and it’s got a very established reputation as being a fantastic facility. But our physical growth has stopped in the last twelve years. Now, we’re looking at what’s next. Are we going to just maintain or are we going to grow? Are we going to grow differently? We’re just getting into these discussions. As Chinook Village contemplates its future, it can be confident that its 20-plus years of resident-focused care and concern, combined with its exquisite amenities and varied menu of leisure activities, has already ensured its reputation as one of Alberta’s finest and most successful over-50, senior communities.